Chinese consumers are becoming more frugal, even over staples like bottled drinks and instant noodles. Yet market leader Tingyi grew sales in a weak market by taking share from rivals. Lower palm oil and sugar prices also helped produce a 24 percent rise in first-half profits. After a 10-month sit-in, a rag-bag of Occupy sympathisers face eviction from HSBC’s HQ. Their protest never gained traction - despite the region’s yawning wealth gap and HSBC providing free wifi. It’s not just that Occupy was disorganised: inequality alone doesn’t ensure unrest. The ambitious Hong Kong listed trading and logistics company sells at an elevated multiple, based on promises of rapid growth from a confident chief executive. The shares dropped 20 percent after a disappointing first half. They still look expensive for this cyclical business. The struggling Hong Kong-listed retailer surged after it poached an executive from Spain’s more successful Inditex. Esprit’s Asian headquarters is a poor fit with the business’s European focus. The Eurasian firm needs to find a new brand identity and sharpen its geographic focus. Weaker profits at Las Vegas Sands suggest mainland gambling fanatics are taking a breather, including VIPs. There might be more at stake than just gaming profits: in better times, Sands owner Sheldon Adelson offered to wager $100 million on Mitt Romney’s U.S. presidential bid. Depressed shares of U.S.-listed Chinese firms had attracted management buyouts from founders - a rare bright spot for bankers. But the troubles of New Oriental Education - an SEC probe, short-seller allegations and 60 percent stock slide - are likely to halt this trend for now. After the 2008 crisis, it was “Shanghai, Mumbai or goodbye” for the financial industry. But the swingeing decline in Asian equity volumes and commissions has skewered that logic. What was once a growth driver is now an albatross. A second-tier retreat from Asia looks likely. A planned $45 billion financial zone just over the border in Qianhai won’t just allow for experiments with currency conversion. It’s also set to test incorporating Hong Kong legal ideas into China. It shows influence doesn’t only go one way. With the British gone for 15 years, the prosperous Chinese territory is about to get its first chief executive who wasn’t in the colonial club: CY Leung. Economically, Hong Kong is firmly hitched to China. The trick for Leung will be to set a course that keeps it distinct. Hitching the Hong Kong Dollar to the U.S. greenback brought 30 years of something like stability. Now it brings inflation and high property prices. Yet the alternatives are messy, and the peg has a symbolic value. The status quo is best, until China offers a good replacement. Chinese cash - more and more since 1997 - has helped inflate prices at the high end. And scarce cheaper housing is causing social tensions. The SAR’s new chief executive plans to release more land. An end to over-tight supply control, abetted by property tycoons, is overdue. A short-seller report knocked $1 bln-plus off the Chinese property company’s market value. Some of Citron Research’s maths look duff, and bank analysts have come to Evergrande’s defence. But concern is justified, if only because the firm’s opaque reporting invites confusion. Goldman’s new global vice chairman won’t be the last person to eschew the easier climes of Hong Kong. Mainland China is where foreign banks will add jobs, and where the majority of 2012’s IPOs in Asia took place. Attracting the right talent for the local market will be a challenge. The Hong Kong bourse may pay 1.4 bln pounds for the London metals trader. 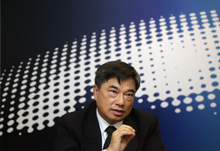 HKEx hopes its investment will yield 10 pct-plus by 2017. A Breakingviews calculator shows Chinese LME trading volume would have to grow over 40 pct a year and become half the business. That’s a tall order. The exchange is paying an alarming 58 times last year’s earnings for the London Metals Exchange - even factoring in its new fee structure. There are no cost synergies, so all depends on whether mainland Chinese buyers will be allowed to play more on foreign commodity markets. Falling markets and the Facebook IPO flop have helped sink Graff Diamonds’ $4 billion Hong Kong listing. But Graff came with hard-to-sell quirks. The bet that investors would buy into a “new” kind of luxury at a time of risk aversion was too optimistic. Hong Kong’s arts auction and property market is cooling as mainland Chinese buyers retreat. Tighter credit and China’s political cycle have both played a role. The hardest hit could be “hard” luxury products like sports cars and watches, often assumed to be the most resilient. The HK tycoon has avoided a power scramble by naming his eldest son as heir to his business empire. To ensure Li’s values prevail, his successor will be surrounded by long time acolytes. It’s much like what’s happening in Beijing. In both cases, the newbies will need new tactics. The diamond merchant’s Hong Kong listing taps directly into the growth of the 0.1 percent. But even the super-rich are vulnerable to a financial crisis. A sober appraisal, which hinges on the value of Graff’s enormous stockpile, suggests the $4 billion price is fair but no steal.